“The Murder of Roger Ackroyd” by Agatha Christie, first published in 1926, is one of her most widely read masterpieces featuring Hercule Poirot and has been adapted for many theatrical and cinematic ventures. In addition to the usual gripping circumstances and grey characters that are integral part of an Agatha Christie work, this novel stuns the first time reader with an ingenuous twist at the end. Set in the small village of King’s Abbott in England, the story is narrated by Dr. James Sheppard who replaces Poirot’s well-known friend Hastings in capacity of his constant companion and recorder of the adventure. The story starts with death of a Mrs. Ferrars, a wealthy widow, due to overdose of sleeping draught. But Dr. Sheppard’s gossip-loving sister Caroline and many others who have been listening to the rumours that Mrs. Ferrars killed her husband, think otherwise. The claim gains weight when Mr. Roger Ackroyd confesses to Dr. Sheppard that Mrs. Ferrars committed suicide to escape from an unknown person who had been blackmailing her since her husband’s death. Dr. Sheppard goes to meet Mr. Ackroyd in the evening where Mr. Ackroyd receives a letter by Mrs. Ferrars, wherein she has mentioned the blackmailer. In spite of Dr. Sheppard’s insisting that Mr. Ackroyd should open and read the letter at once, Mr. Ackroyd puts the letter aside with an intention to read it later. Dr. Sheppard leaves and within a very short time is summoned back to find the dead body of Mr. Ackroyd. Now, as in a typical Agatha Christie work, the house is full of numerous characters, each one a little eccentric and having something to hide. 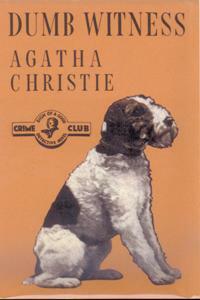 The prime suspect by police is Ralph Paton, Mr. Ackroyd’s stepson, who is engaged to Mr. Ackroyd’s niece Flora. Ralph is known to be under heavy debts and is the major benefactor of Mr. Ackroyd’s will. Other suspects include Mr. Ackroyd’s friend Major Blunt, secretary Geoffrey Raymond, his creepy butler Parker, a maid Ursula Borne, with whom Mr. Ackroyd had arguments in the afternoon, his housekeeper Mrs. Russel and a stranger met by Dr. Sheppard in the woods after he left Mr. Ackroyd. Flora goes to Poirot, residing in the house next to Dr. Sheppard in a quiet retirement, and requests him to investigate the case. She is convinced that Ralph is innocent. Poirot interviews each and every one involved and discovers the hidden secrets of the lives of Mrs. Russel, Major Blunt, Ralf Paton, Ursula and Dr. Sheppard. As usual, his grey cells start putting the pieces of the jigsaw together. Ultimately, he does strike on the correct solution of the mystery. Enjoy…..